I'm not trying to get across that I think she COMPLETELY looks fat in it. What I should have said instead of fat is that her face seems a little to wide. "Fat" or not, she doesn't look too much like Faith to me. 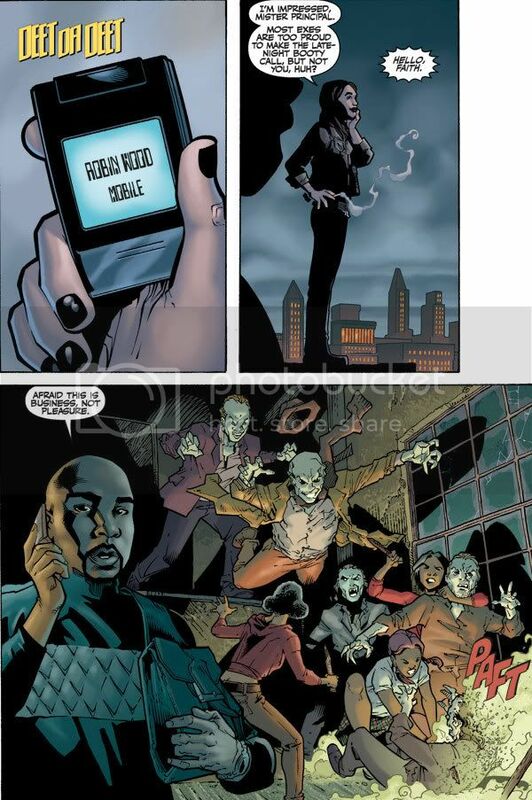 lol I like that shirt that Buffy is wearing in the first shown cover. 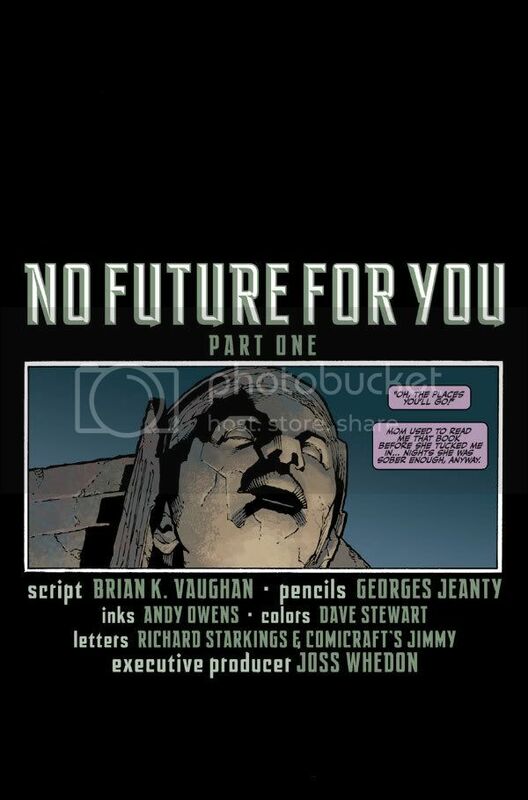 I like the covers.. and I like the comics! I can't wait to read more.. I agree, she looks great. So far, I have much preferred the Jo Chen covers over the Georges Jenty covers, even tho I have bought both. Chen's Faith cover really is awesome but the other one, with Buffy in it, kinda leaves me cold. 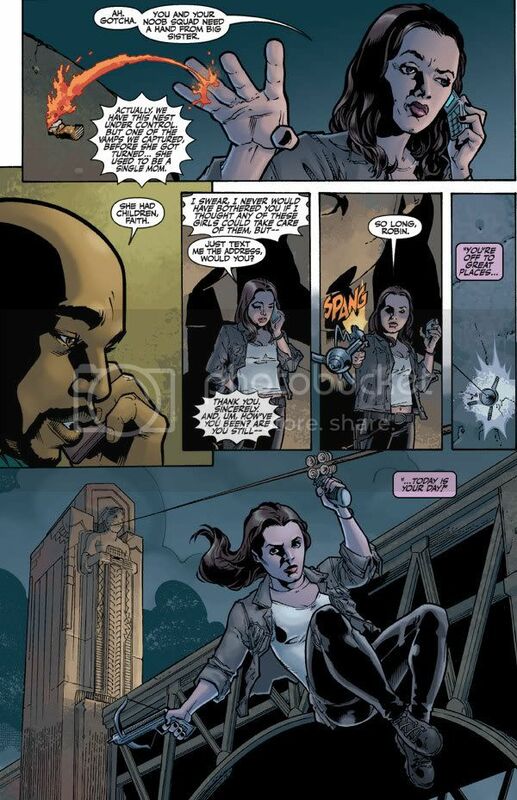 Hey peeps, somebody over at WHEDONESQUE.com has said they had been to preview night at SDCC and that they received a preview book with the first six pages of issue 6. Now if anybody else has these could they stop hogging the excitement and share share share....much appreciated, thank you. 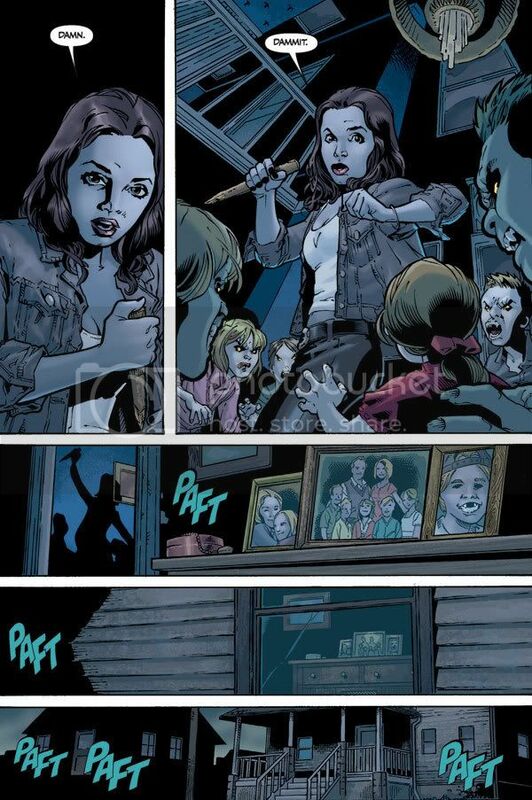 OOH and just thinking...Maybe the captured moma vamp is the one in issue 5, that is chained to the wall with all of the slayers standing watching... A little link there!!! 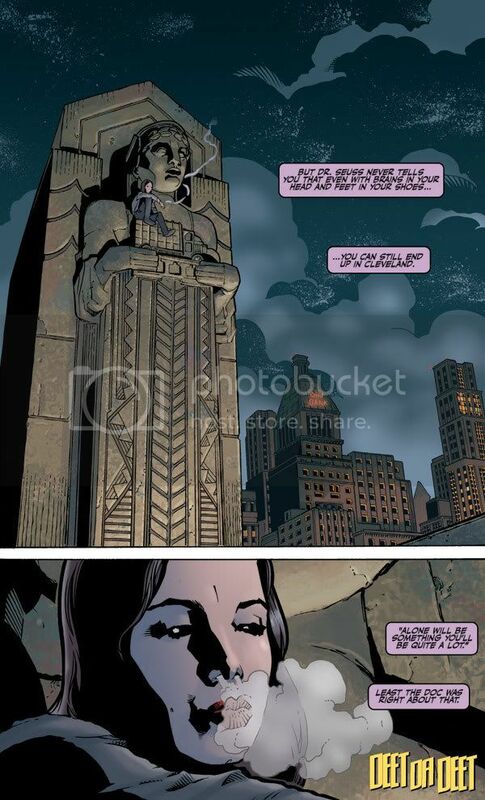 This may sound like a really dumb question, but I'm from England so I wouldn't really know, but is that building Faith is on an actual monument in Cleveland? Well, thank you very much CBG, I think this looks great!!! Faith and Robin look great and the storyline kicks of with quite an emotional family thing which links a lot into Faith's back story. I'm am quite thankful that this is in black and white in a way so that when we get the issue, it will look quite different when the colour has been added!!! That's an interesting question. But I think the copyright notice at the bottom of the beginning of each issue rules it out as being something already made. Do you guys think that when Robin said, 'I would never have bothered you if I thought any of these girls could take care of them', that he knew they'd be vamps and that they weren't yet strong enough slayers to kill vamp kids...And that Faith was strong enough??? 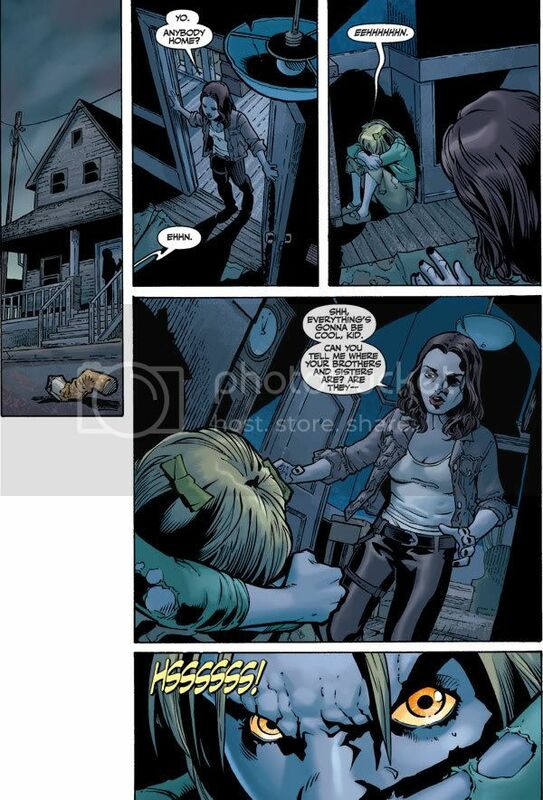 I was under the assumption that Robin and Faith did not know they would be vampires. I think he meant to actually take care of them, as in help them to a shelter or something like that. Otherwise why would Faith have been surprised at the reveal they were already turned? ?